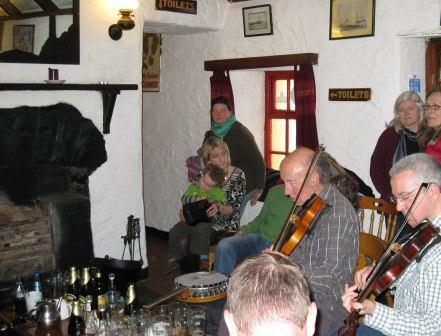 Irish Music is best enjoyed informally at traditional sessions around the country in Irish pubs. A 'seisiun' or session is when a group of musicians gather together and just start playing music. This usually happens sponaneously with perhaps a couple of fiddle players being joined by someone playing a tin whistle or bodhran, (hide covered drum) which can get bigger or smaller as the day or night goes on, with solo pieces in between. Sometimes they will be joined by a ‘sean nos’ singer or dancers but they kind of get made up as they go along are extremely entertaining even if you are not into that kind of music and are just there to people watch. Where can you find these sessions? Well they are mostly free, rarely would you expected to pay into one so dont.... Advertised in pub windows or doorways, usually at short notice, follow your ear, or word of mouth. There will be plenty all over the country during St Patricks Day when the focus is on all things Irish of course. But for the very best you really need to head West, to its origins on the islands and in the Gaeltachts (Irish speaking areas of Galway, Mayo and Donegal) or down to Clare, home to the Kilfenora Ceili band, where if you are very lucky you might catch Sharon Shannon or her sister Mary in Vaughans pub. 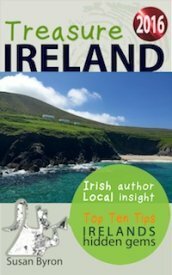 Another place you cant go wrong is in Doolin, the small harbour close to the Cliffs of Moher where the ferry leaves (during the summer) for the Aran islands, or any of the large provincial towns such as Ennis which even has a dedicated theatre Glor for the performance of Irish music.